Sodi Kart’s SWS brilliant event ended on Saturday with the lavish gala held on one of the finest boats sailing the river Seine in Paris, after the second day of competition. Truly a well-organized event dedicated exclusively to the Leisure drivers that rewards Sodi’s hard work. In Junior category, English Andrew Graham (Buckmore Park) took the title with 444.25 points, winning two of the four finals raced between Friday and Saturday. The other two finals went to the Russian Ilja Tsepkalo (Mayak) only 5 points behind in the championship, with the Belgian Felix Hahn (Eupener Karting) completing the podium. In the Sprint category, Belgian Kevin Caprasse (Europener Karting) took the win by a wide margin in the final standings counting the sum of the four Super Final. 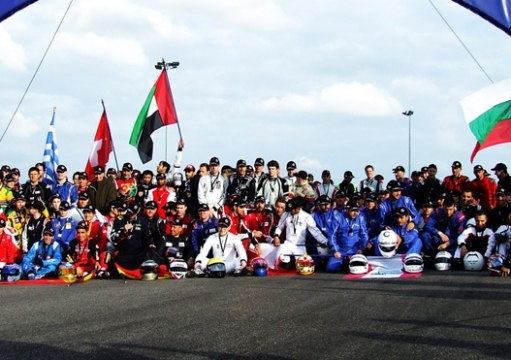 Paul Chatenay, representing the Dubai Autodrome club finished second ahead of local driver Sebastien Fournet (Racing Kart de Cormeilles). The 12 hours Endurance raced over night saw the Batelco team dominate for most of the race. The competition level has been consistently very high, considering that the top 15 teams in qualification lapped within half a second off pole (Alban Varutti - Batelco – 1’03”501 at an average of 68.03 km/h). Despite the position changes resulting from the different pit stop strategies, the team from Dubai dominated the 630 laps with a consistent pace, overcoming the uncertainty of the predicted downpour with two hours to go. The pit stop strategies had to change as a result, but the gaps were somewhat frozen, and the positions at the top unchanged. The Time Attack team (+ 1 lap) and CER Karting (+ 2 laps) both home teams of Racing Kart de Cormeille completed the podium. Excellent fifth place for the Italian Kayak team of Karting Club Misano, on track with only two drivers, Fabio Torri and Damiano Marchesan, well-directed by the team manager Gianluca Bonazza.